D-FW's port of call: CBS11 invests heavily in talent from other D-FW stations. Clif Caldwell, Mary Stewart: Join the crowd at CBS11. Often deemed expendable by rival local stations, they've rekindled their TV news careers at CBS11. This week's hiring of former Belo8 anchor Scott Sams makes it a baker's dozen of on-camera expatriates who have found themselves feeling wanted again. No other D-FW station comes close in this particular province. "He's very, very excited about this opportunity . . . He's in a good place now," CBS11 president and general manager Steve Mauldin says of Sams' reportedly fragile mental makeup during his last years with Belo8. "This was not an act of desperation on our part." Sams, who begins co-anchoring CBS11's early morning newscasts on April 23, spent nearly 20 years at Belo8 before being dumped in September 2004. He's spent the last year as the featured news anchor at little KTEN-TV, which serves Sherman-Denison. Now he'll have a chance to both work in a Top 10 market again and compete against a station that he sued for allegedly firing him without just cause. Both sides claimed victory after Sams won a judgment earlier this year. "It's a big market, a good place to live and a lot of people want to stay here," Mauldin says in an interview with unclebarky.com. "That's part of it. But I don't think these people are castoffs or second-handers either. They're first-team players." A majority of the 13 were hired before Mauldin began running the shows at CBS11 and sister station TXA21 in February 2003. But he's also renewed the contracts of some staffers who previously segued from other D-FW stations. "It's not premeditated," Mauldin says. "It's not part of the game plan. There are people that wanted to come over here that I haven't hired. I'd like to think that this is a good place to work." CBS11 didn't launch its 10 p.m. newscasts until 1995, when it first became a network affiliate after roughly four decades as an independent station. Suddenly there were plenty of openings in the news department. "We're the youngest of the news stations," Mauldin says. ""I think that's the other factor." 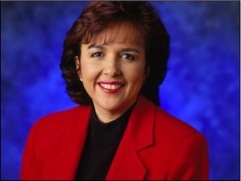 Stephanie Lucero -- Steady, capable street reporter joined CBS11 in 1997. Formerly of Fox4. Tracy Rowlett -- Cut ties as Belo8's longtime mainstay anchor to sign on with CBS11 in 1999. Recently stepped down from 10 p.m. newscasts and now is co-anchoring 5 and 6 p.m. programs on the road to a planned retirement in July of next year. 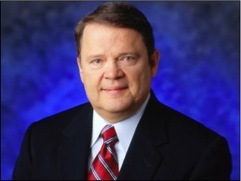 Mike Burger -- Formerly of Fox4, the veteran weathercaster has been filling in and working weekends at CBS11 since 2000. Mary Stewart -- The durable cancer survivor joined CBS11 in 2000 after working hard for the money at Belo8. Still flossing: Former Fox4 reporters Stephanie Lucero, Bud Gillett. 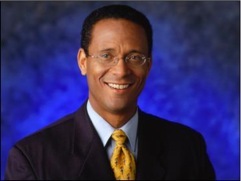 Clif Caldwell -- Ex-NBC5 nightbeat streetwalker has been anchoring and reporting at CBS11 since 2001. Robert Riggs -- Dogged investigative reporter brought his spyglass to CBS11 in 2002 after a long career at Belo8. 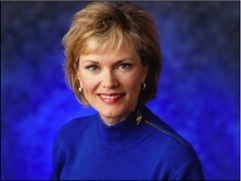 Kristine Kahanek -- Former Belo8 weathercaster has been the featured temperature taker at CBS11 since 2002. Gina Miller -- Sports anchor/reporter splits time between CBS11 and TXA21 after coming on board in 2005. Used to be with Belo8. Pam Harris -- Part-time reporter joined CBS11 in 2005 after working for both Belo8 and NBC5. Teresa Frosini -- She won a contest to be a backup traffic reporter for NBC5. Now is the featured traffic cop at CBS11, where she arrived in 2006. Carol Cavazos -- Ex-shortterm Belo8 reporter has been with CBS11 for the past several months as a part-time reporter whom the station plans to hire full-time. "You know what my comment on that is?" Mauldin asks after the names are ticked off to him. "Sounds like an all-star roster to me."